Fabian "Candy Man" Villarreal Travels To Germany To Deliver One Of His Sweet Texas-Style Candy Paint Jobs. It’s not every day that you get to travel to some faraway place to do what you love, so this past March, when Fabian “Candy Man” Villarreal from Corpus Christi, Texas, was offered the chance to fly to Germany to finish a custom paint job, he jumped on it. Candy Man flew into Dusseldorf, where he met up with a German Rollerz Only C.C. member, also named Fabian, who owned a clean ’64 Chevy Impala that was already straightened out and painted with a blue basecoat. Candy Man’s job was to complete a one-of-a-kind flaked and patterned-out candy paint job in just five days! Before Candy Man arrived at the airport, he had to deal with the drama of getting a U.S. Visa and gathering all of his equipment, plus the paint and materials that he would need to finish the car as quickly as possible. At the time, he was thinking that the owner of the ’64 might be pulling his leg, but then, after receiving a plane ticket in the mail and noticing that some cash had been deposited into his account, he realized that this German wasn’t joking. When Candy Man landed in Germany, he faced a two-hour drive to get to the shop where he’d be working. His German host treated him to a 140-mph “cruise” on the Autobahn and Candy Man kept asking him if he could slow down to at least 110 mph so that he could catch his breath and let his heart-rate slow down. At those speeds, they arrived at the shop within an hour. The process of creating this paint job was excruciating for Candy Man. Waking up at 5 a.m. and working 16 hours a day for five days straight was the only way that he could finish the car in the time allowed. We’re not surprised that Candy Man came through with flying colors. When all was said and done, Candy Man picked up a few tricks from Theo, a master painter at the shop. The German painter, in turn, learned a thing or two from Candy Man, especially how to finish a custom candy paint job like the one on this clean ’64. Golden Rule AwardMajor grand prize inaugurated by Eagle One to reward a car club for outstanding achievement in community service. Calling all car clubs! How would you like to win $1,500 for your favorite charity? This year, Eagle One is inaugurating a $1,500 grand prize for one of four car clubs winning its 15th annual Golden Rule Awards. 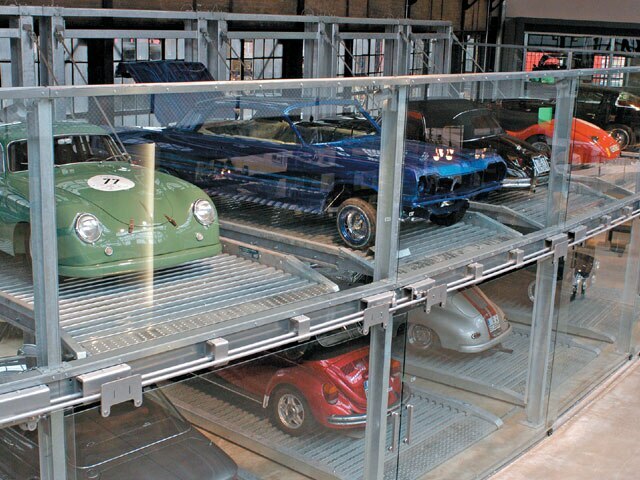 The award recognizes and rewards a car club in four U.S. regions for outstanding achievement in community service. The grand prize will go to the club that’s judged to have performed the most compassionate action that benefited a person or group. The $1,500 award will be donated to a charity designated by the club. A $500 cash contribution will be made to a favorite charity of each of the three other winning clubs. In addition to a total of $3,000 in cash contributions from Eagle One and co-sponsor Valvoline, the two companies will provide a generous supply of premium Eagle One appearance care products and Valvoline motor oil for fund-raising purposes. A custom-designed award will also be given. 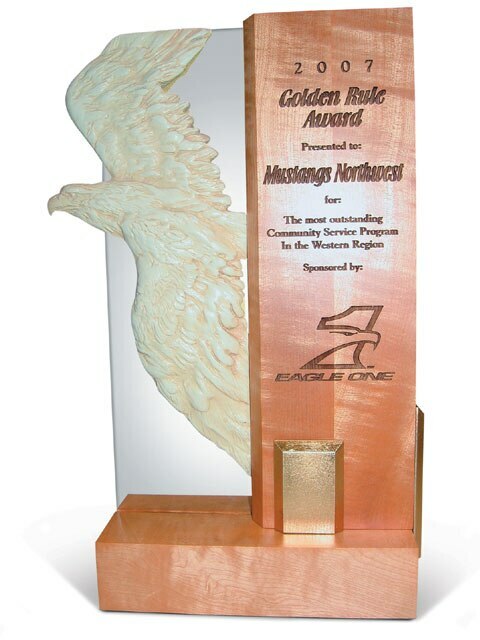 The Golden Rule Award will be presented to a car club in the West, Midwest, East and South judged to have conducted the most outstanding community service program in their region during 2007. An entry form may be obtained beginning October 1 by visiting www.eagleone.com or calling 818-501-1445. Deadline for entries is December 31, 2007. Winners will be notified by February 10, 2008.